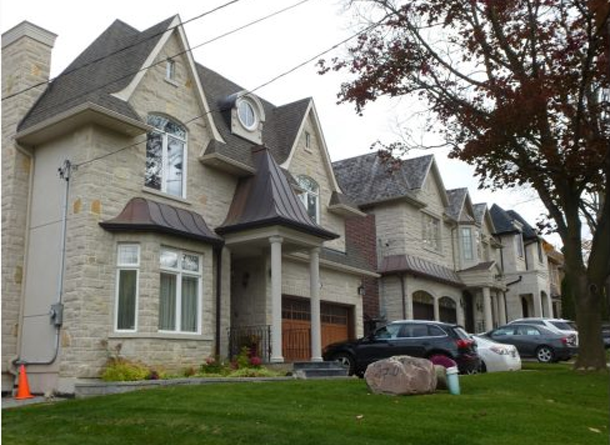 And Toronto’s hottest neighbourhood is… Willowdale? According to the Toronto Star, Willowdale beats out Riverdale, Cabbagetown, the downtown core and Rosedale when it comes to real estate. The only difference is that people are buying in North York and knocking down the houses in order to build massive homes because the lot sizes are so much larger north of the 401. It’s understandable why Willowdale, which runs from the 401 to just north of Finch and from Bathurst to Bayview, is a desirable location. No matter where you are it’s close to multiple subway stations, it’s in a decent school district and the neighbourhood is home to a wide range of cultures. The homes that are being knocked down aren’t really of historical value – many of them were built in the 1950s and 60s, when it was still the middle of nowhere. A lot that measures 40 by 131 feet can be attractive to someone who is looking at a downtown neighbourhood where lots are significantly smaller. One of the problems is that the only consistent design aspect of the new builds is that they are massive. And that’s also the design aesthetic. Big. While it’s hard for anybody not from Toronto or Vancouver to wrap their head around paying $1.5M for a home and then demolishing it, when you look at the prices the new homes are commanding, it makes sense. The article is worth a look. Click here.